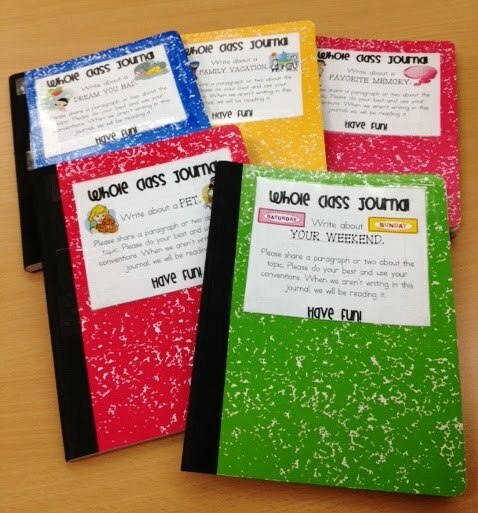 These are our class writing journals. We do writer's workshop each day that is separate from our Daily 5 stations. Work on Writing is still an occasional weekly station. These class journals are great for that station. You can download the sheets for FREE from my TpT store. The students add entries and we read some aloud. They are a simple and fun addition to any writing classroom!